Mem. Amer. Acad. Arts ser. 2, 4(1): 50. 1849 [10 Feb 1849] ; Pl. Fendler. Origin and Habitat: From Rio Grande in Texas through New Mexico into Tamaulipas in Mexico. 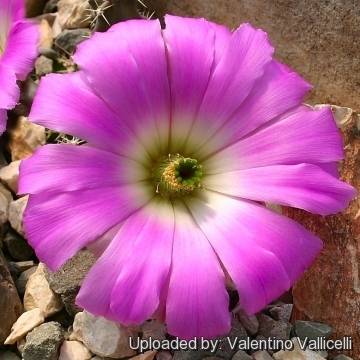 Description: Echinocereus pentalophus var. procumbens distinguishes from the standard species for its stems that are semi-prostrate, and the thinnest of all the subspecies. Moreover it stems are deeper green in colour, with 4 to 5 ribs, and 5 to 7 spines per areole. 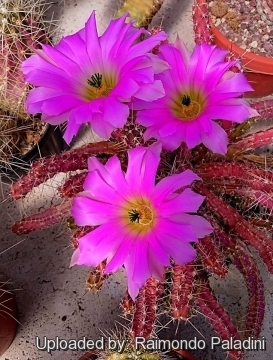 It is a very fine sight in bloom, having few equals within the genus Echinocereus. 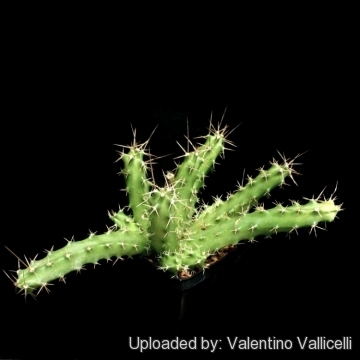 habit: It is a matforming cactus with many crowded finger-like stems. Established plants can reach a height of 20 cm and width of 100 cm. Stems: Semi-prostrate, branched above ground, sprawling and decumbent, reddish-purple to dark green. Stems are weak, 2 cm in diameter. Ribs: 4-5, with low tubercles. Radial spines: 5 or 7, short, brown, yellowish, tan or ashy white, usually very stiff and straight. 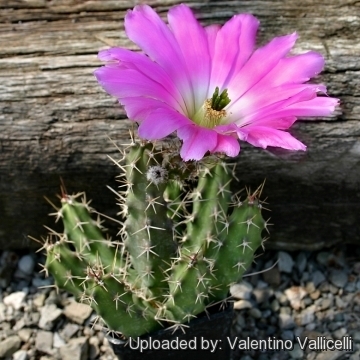 Cultivation and Propagation: Echinocereus pentalophus subsp. 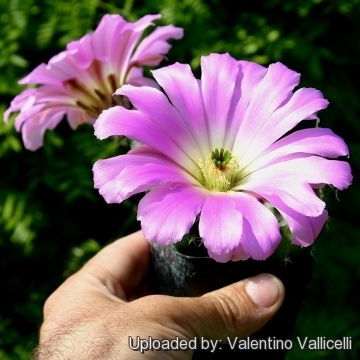 procumbens is an easily grown cactus, suited to hanging baskets as well as pots. 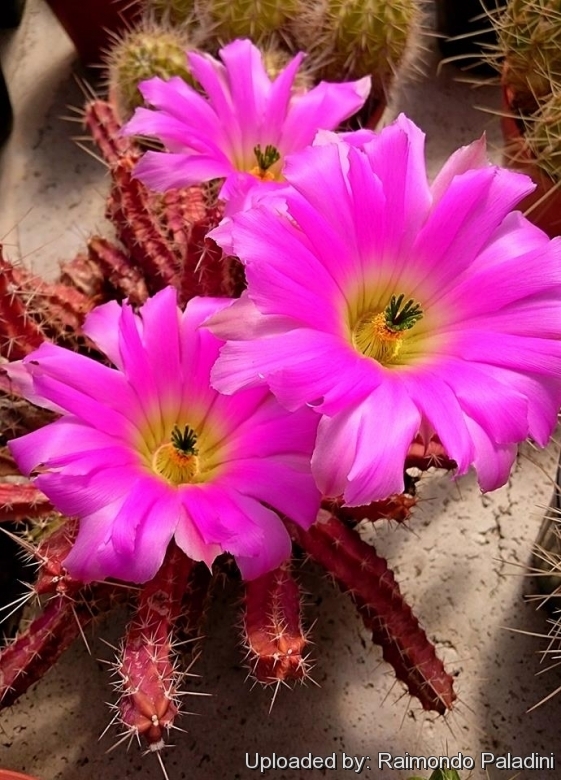 This cactus is widely cultivated for its flowers, it is among the easiest species to grow, flower and propagate.